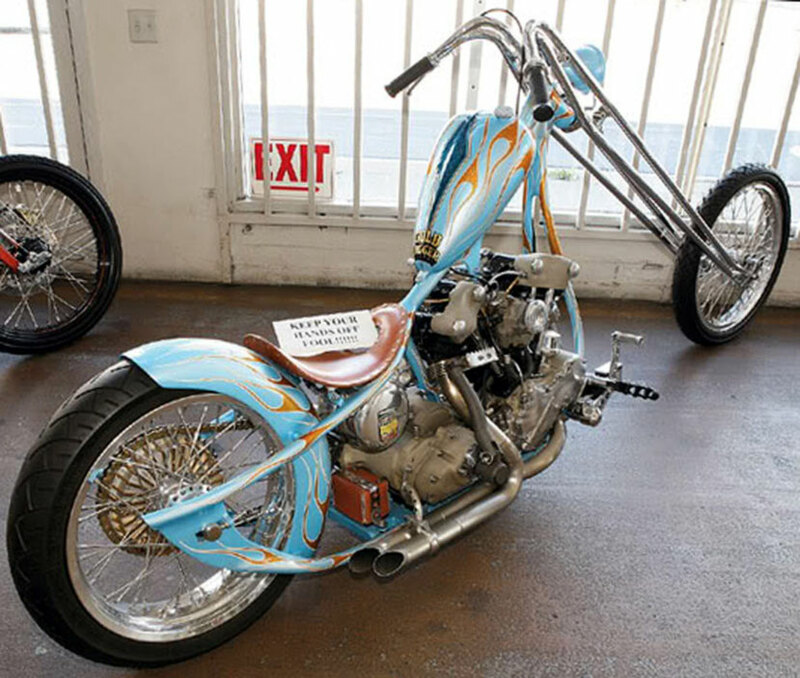 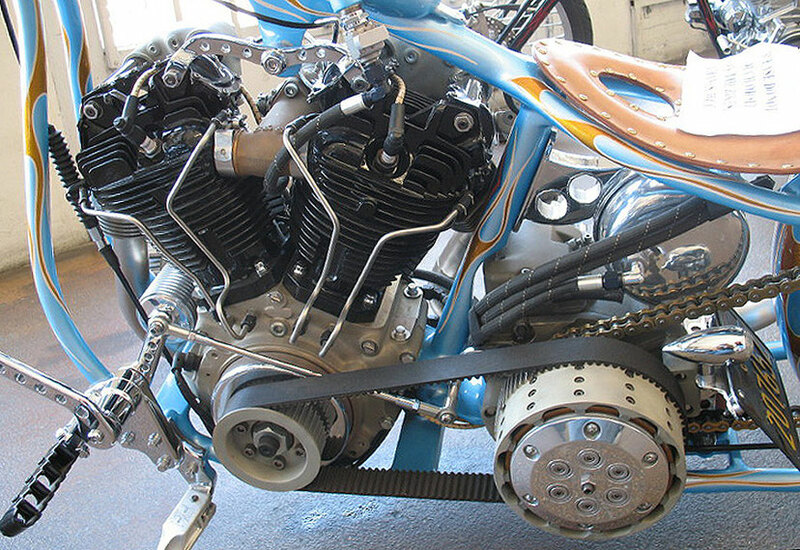 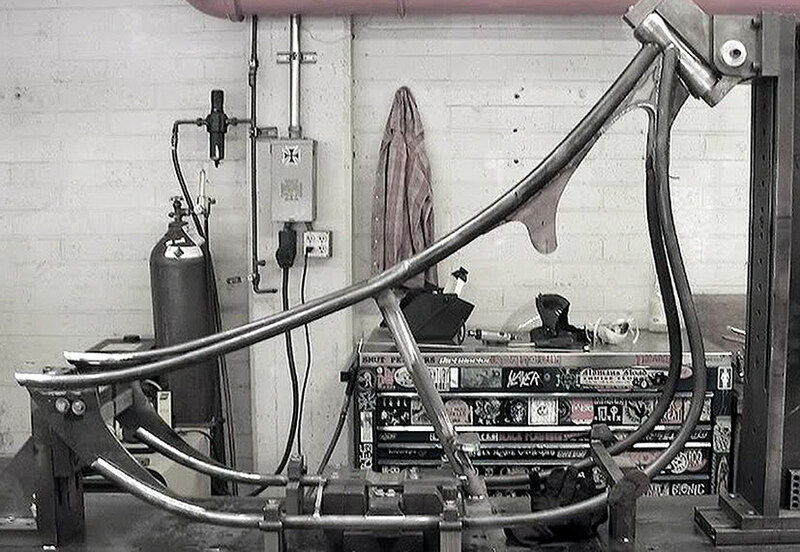 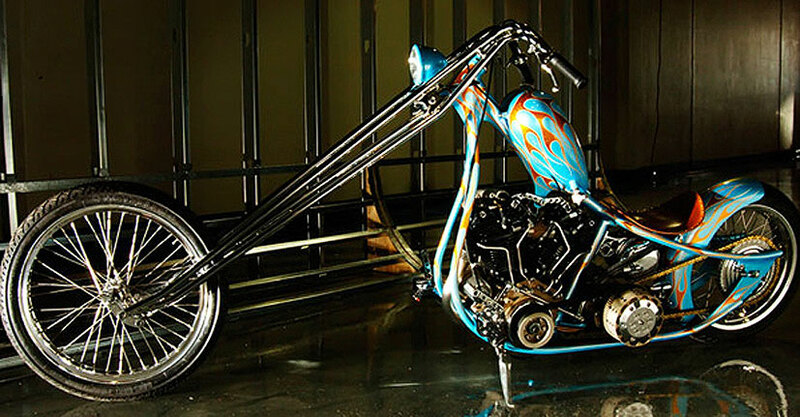 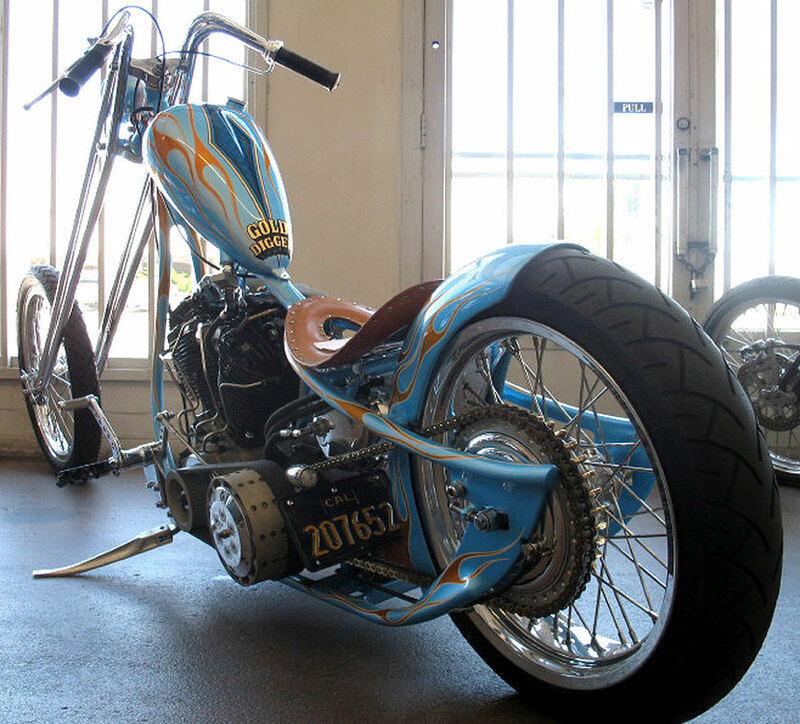 Jesse built this bike for the History Of The Chopper movie. 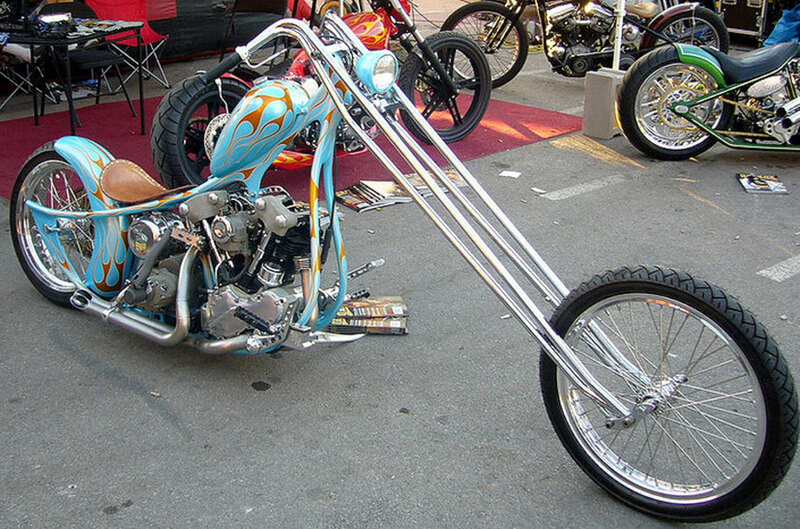 He used a frame from the seventies he bought at a swap meet. 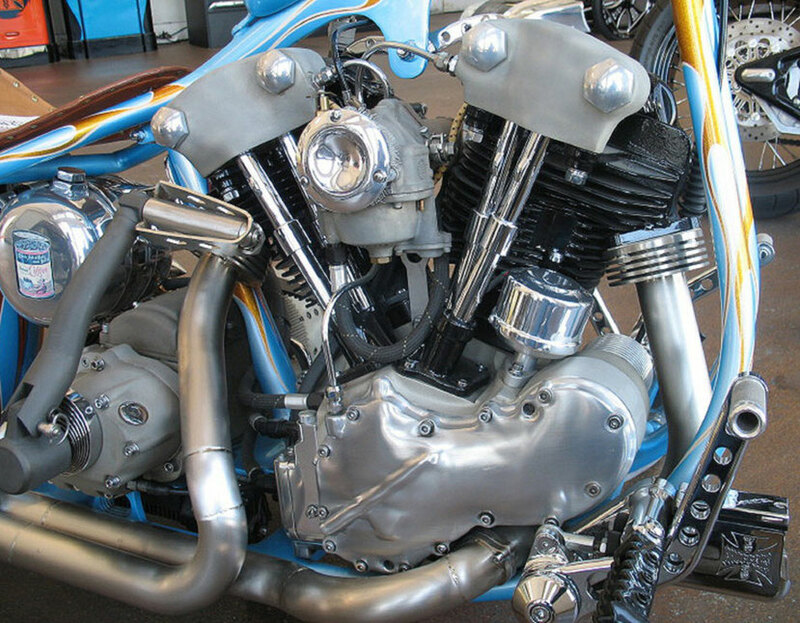 Love that Harman fork.